Film adaptations aren’t easy, but they do accelerate a major step in the creative process—crafting a completely unique story. With a written work to rely on, the outlines of the screenplay already exist, but only with some much-needed tweaking can it become ready for film. Sometimes this means something as simple as altering of the main character’s interaction with another, or it can mean the removal of entire portions of the narrative. More than anything, when moving from page to screen, a screenwriter must be aware of thoughts and actions—specifically, how they impact the viewer. Because what a book can achieve by slipping into the mind of a character and allowing the reader to hear every thought, a movie can only do by showing what the character does and believing the viewer will understand why. From young adult novels to detective noirs, understanding the mind of our character is absolutely necessary for empathizing and experiencing the story along with them. So how can that written understanding effectively translate to film? “Show, don’t tell” is a technique that many writers live by. But even if you avoid every pitfall of exposition, thoughts are a huge way of communicating emotion. Unfortunately, watching someone experience emotion and do nothing else isn’t very enjoyable for the viewer. If the scene is pertinent for showing the character’s journey, another layer of “show, don’t tell” must be added. In the Hunger Games, before entering the battle royale, Katniss is put on display before the gamemakers. Her task is to demonstrate to these bookies of death what her potential is on the battlefield and she goes above and beyond to show just how accurate she can be with a bow. But they simply don’t care. A roasted hog has arrived, and naturally, that’s much more important. Feeling overlooked and fed up with everything, Katniss releases an arrow into the crowd of gamemakers, shooting the apple from the mouth of the roast hog and pinning it to the wall behind them. Now they understand what she’s capable of. In the novel, we have the convenience of living in Katniss’s head, of feeling her frustration, as well as the anxiety after she lets the arrow fly. Her anger is apparent, because she explained it to the reader before taking the shot, but then we realize what consequences this might have for her as she feels instant regret for her actions—an internal battle that lasts for pages. The film adaptation didn’t have the time or the capacity to express these things, but the way the scene was portrayed worked perfectly. 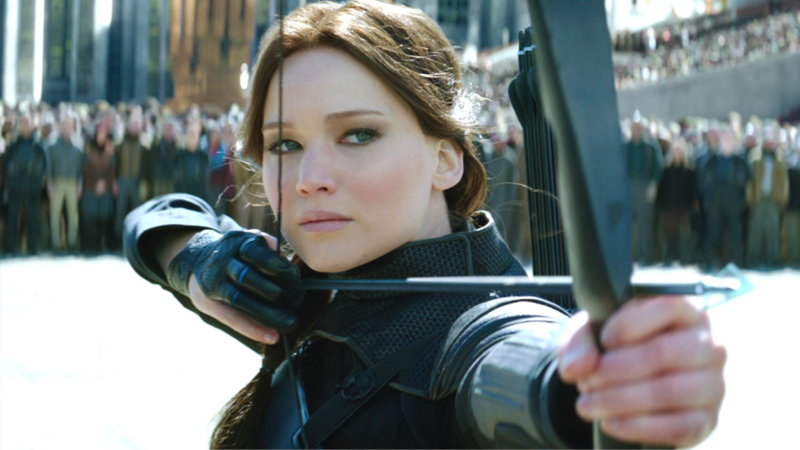 Through quick pacing and intense close-ups, we see the frustration and urgency in which she fires off the arrow. Her contempt is tangible by the way she says, “Thank you for your consideration.” Then, without taking the time to have her revel in her regret, we immediately cut to Effie chastising her for her actions. Effie becomes the personification of Katniss’s regret, and the viewers know exactly what’s going through her head. As noted earlier, mysteries are also a major genre in which thoughts must be translated into action for the sake of the viewer. In cases of a whodunit, very rarely would the grizzled detective, as he nears his perp, shout, “It was the Duchess in the ballroom!” as if the whole thing were a game of Clue. Instead, this revelation would play out in their head, allowing for them to set sights on finally nabbing the culprit in the final act. But how can this be effectively communicated through film? Revelations are commonly served by close-up shots of evidence, those final pieces of the puzzle that connect the dots for the viewer. This could be one shot of a photo, then a news headline, and then on to that ultimate dot connector that’s given a musical score to match. All is revealed. The jig, as they say, is up. We see an exact replication of this process in The Girl With the Dragon Tattoo, a 2011 film adaptation of Stieg Larsson’s 2005 thriller-mystery novel. On the hunt for a serial killer, the two protagonists, Mikael and Lisbeth are intimately close to cracking the case. As they work independently from one another, it’s Mikael who uncovers the killer’s identity first. This puts him into hot water, as he’s then nabbed by the killer. With Mikael’s life in unknowing jeopardy, Lisbeth continues to work, only a few steps behind Mikael. Eventually, she’s able to uncover the truth on her own, just in time to stop Mikael from becoming the killer’s next victim. In the novelization, you can imagine how much internal dialogue occurs as both of our detectives get closer to the truth. The “aha” moment is all happening in their head, not out loud. But the David Fincher-directed film isn’t going to throw a bit of voiceover to aid the viewer in this revelation—no way. Instead, the director relies on the viewer’s attention to detail to understand where the trail is leading them. We’re shown shots of old pictures with familiar names captioned underneath. Close up shots on a specific face in various pictures, a name that’s then shown over and over… Finally, we see one final shot of a picture we’ve seen earlier in the movie and a young, but familiar face stalking in the background. Lisbeth announces aloud the identity of the killer just as the viewer themselves realize it too. These scenes serve as a great way of replacing the internal dialogue that on-print mysteries and thrillers rely on because it’s not just the characters on-screen that are making the revelation. The viewer themselves will feel a sense of reward as they crack the case too. While there are many examples of how action can replace thoughts, a balance can be found if internal monologue is a key element to the story. In cases of character studies, or when there’s a need for an unreliable narrator, then thoughts by way of voiceover can work quite well for the film’s overall narrative. There have been several great examples of this concept in recent years, with some of the best ones coming from adaptations of novels. Gone Girl, another film adaptation by David Fincher, features the voice of Amy as she reads segments of her diary aloud to the audience. As the story progresses, we learn that Amy is missing, presumed dead, and these diary entries are like Amy’s phantom musing upon her own demise. Until the truth is revealed. Just like in the novel, we follow Amy’s journey through life and death, then back through life, because that’s how it’s presented to us. To have the covers thrown over our eyes through her narration is what makes this story so compelling. 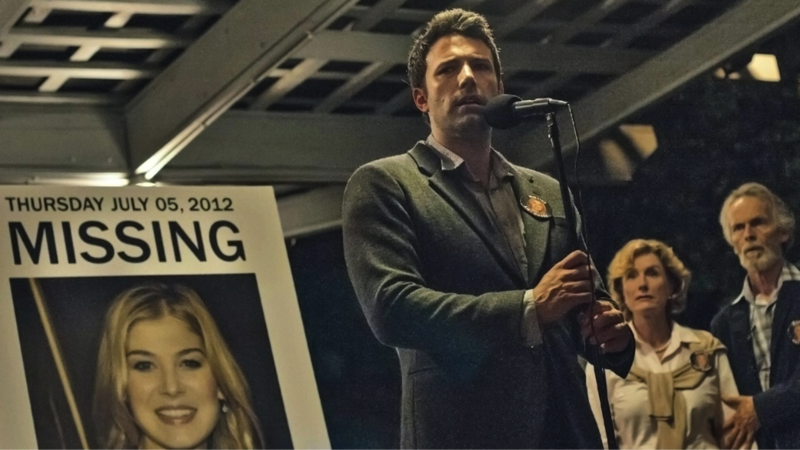 Without it, Gone Girl wouldn’t have been the awesome novel that it is (or movie, for that matter). 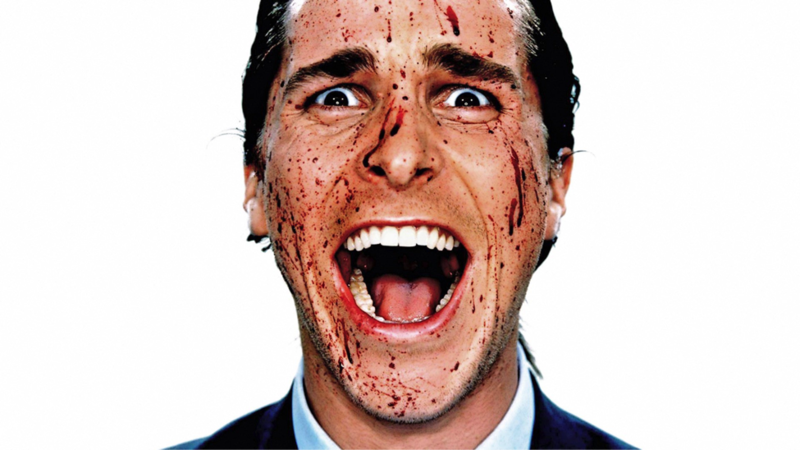 In keeping with the killer theme, American Psycho relies heavily on Patrick Bateman’s monologues as he narrates his own life for our viewing pleasure. But regardless of our pleasure, his soliloquy isn’t so much for us as it is for him. His internal thoughts are his own journey through his calculated madness and we just so happen to be privy to it. Without it, this is just a story of a killer, and one that wouldn’t be enjoyable for us. Even outside adaptations, a character’s thoughts by way of monologue can move a film forward, but only if the story is dependent upon them. Finding a balance between what should stay internalized within a character’s head and what should be acted out for the viewer’s understanding can be what makes or breaks a film adaptation’s success. With great adaptations constantly making their way to theatres, it seems that balance is becoming more universally understood. Will you be the one to master it? If you’re looking to read about a successful film adaptation in action, check out our review of IT!